Return to Analog: Can the good old typewriter find new love in the digital age? 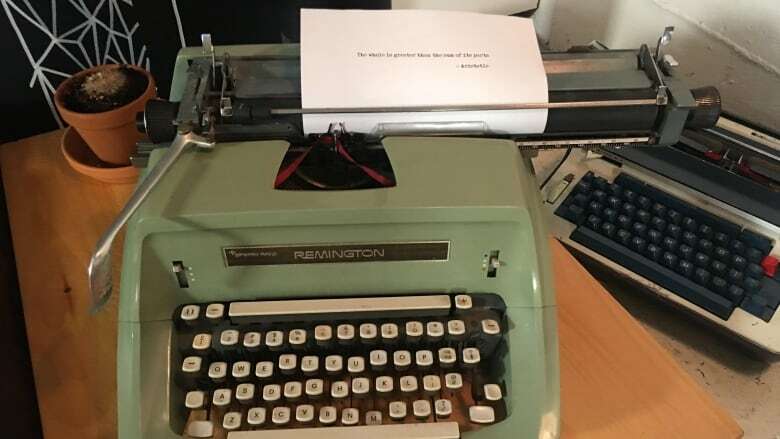 In the age of laptops and smartphones, vintage typewriters that once collected dust in basements are ending up in the hands of people who weren’t even alive when they were used. 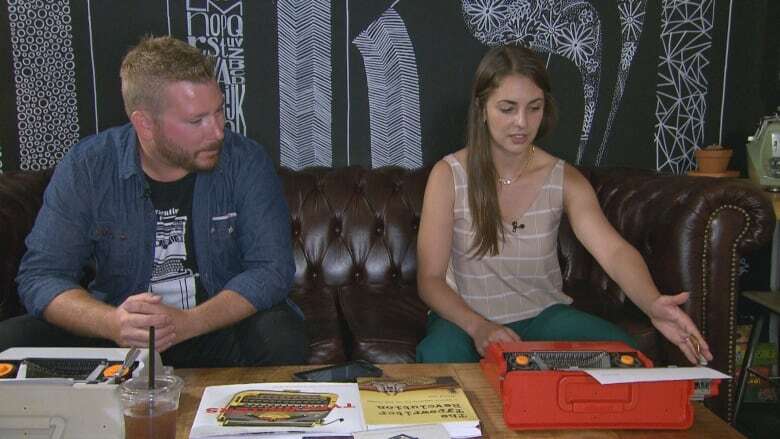 In the age of laptops and smartphones, vintage typewriters that once collected dust in basements are ending up in the hands of people who weren't even alive when they were first used. That's a phenomenon Chris Edmondson of Toronto Typewriters says he's seeing firsthand. He says the typewriter — long replaced by word processors and computer — is making a comeback with more and more people finding new love for the old analog machine. Edmondson has been contributing to that phenomenon. His company buys, sells, rents and restores the analog machines. "Throughout the history of typewriters there were some really fun machines made," Edmondson said. "Colourful ones, shiny ones, we restore those, we bring them back to life from whatever state they came from so it can be used for another 100 years." The typewriter enthusiast admits he wasn't sure the interest was there when he first started Toronto Typewriters, but it's since taken off. "Over the last seven years, we've seen it almost exponentially growing, the interest people have whether it's in our markets or people coming to events we're at," he says. One of their recent events was on Mother's Day, encouraging kids to write poems for their moms on a typewriter. Edmondson says that children love using the machines. He thinks this is because of the experience that's encompassed in using one. "The carriage goes across, the bell goes off, you have to slide it back, go to the next line. There's so much involved." Leah Benetti, known as Pseudonym, uses a typewriter for her spontaneous poem art. "I invite people to give me their topic. They can give me as much or as little information as they'd like. I take all of that and I write them a poem on a typewriter." 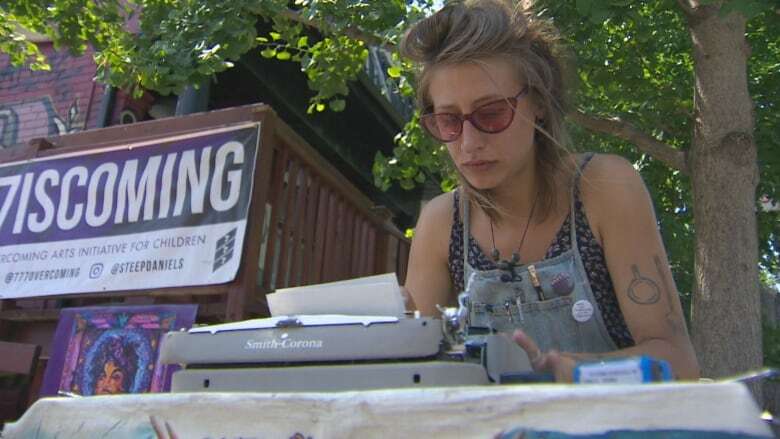 Benetti calls her set up with a vintage typewriter her "portable office" and can be spotted in Kensington Market and at festivals around the city. Benetti says the way she uses a typewriter is practical. "It's like a printer and your whole letter set is all here," she says. "It puts on a really good show because it makes a lot of sound." It also makes for some great conversation. Often a crowd can be seen gathered around her, curious about what she's doing and why she's using such an old machine. Benetti says she's happy to see more and more people using typewriters. "There's something really beautiful about it," she says. "You can't underestimate nostalgia."